Spring is finally here, and we are celebrating in 6th grade science with an outdoor mini-explosion to wrap up our study on acids and bases. We are also investigating the effects of temperature on substances and the energy within their particles. We will continue through our Chemistry block with a study on carbon and fossil fuels including a project about the Keystone XL pipeline and what it means for Nebraska. A unit on tornadoes will be included during severe weather week, and an Earth Day project is in the works also. For the past couple weeks, we’ve been learning all about sound waves in 6th grade science. The student made string telephones to explore how sound vibrates through a medium- and they actually worked! We also had a group poster project where each team presented something unique about sound waves such as sonic booms, thunder, underwater sonar testing, and echolocation. We concluded with a creepy Halloween issue of Science World where sound waves were used to investigate whether or not ghosts are real. Happy Halloween! 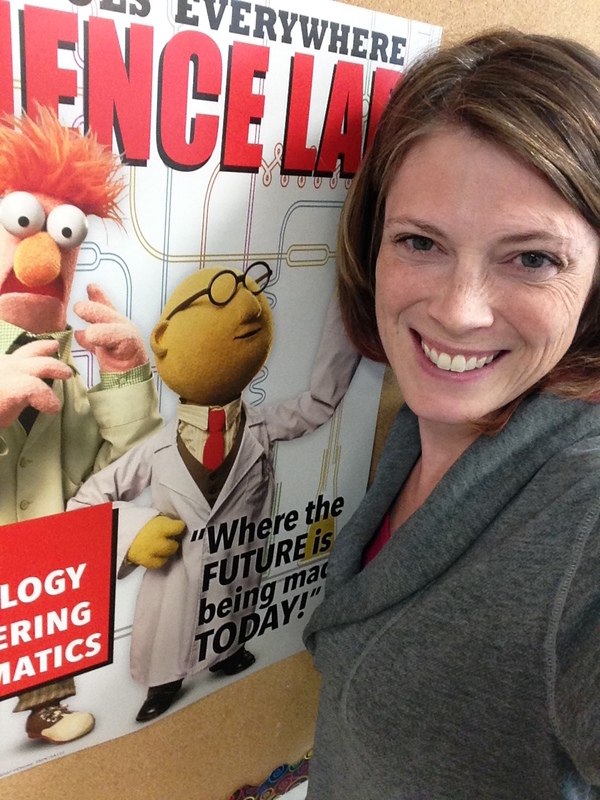 Hi, I'm Mrs. Herfordt, 6th and 8th grade science teacher. I have a B.S. in Biology and a M.S. in Biology. I am currently working on my M.S. in STEM education. I have taught college, high school, and middle school level science courses. Science is all around us and I believe in making it a daily part of our lives and understanding through lots of hands-on activities and collaborative work.